Don't be fooled by its name... The thick-walled plastic bucket H20 is not only used for wet tasks. 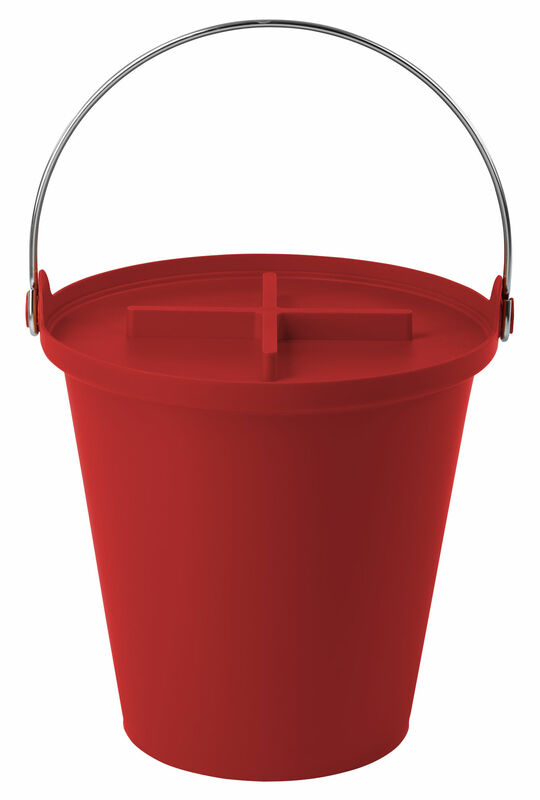 With its archetypal shape it is useful all over the place, wherever orderliness is in danger: as quick catchall in the children's room, as a classic mop bucket, for soiled laundry or as a waste bin. During all these activities its convenient steel handle rests comfortably in your hand. 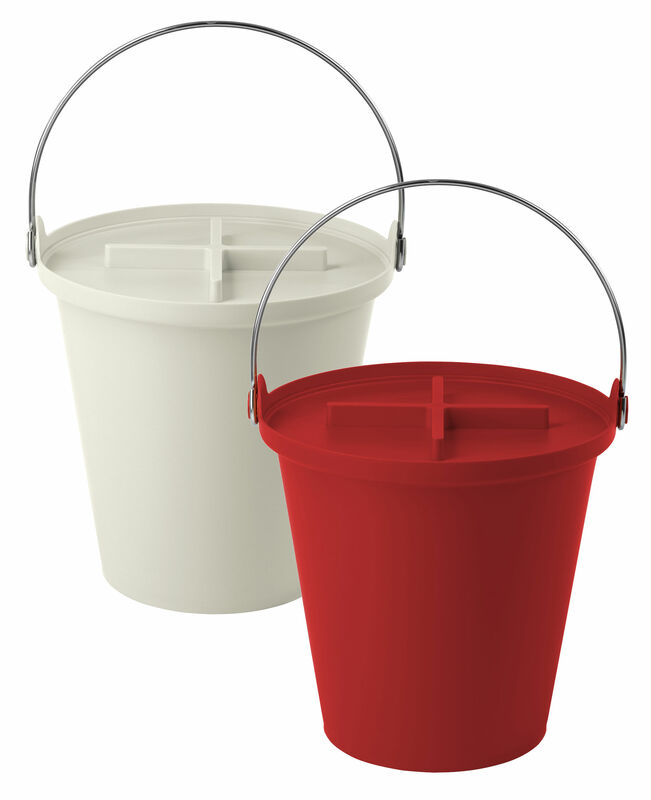 Closing the lid creates a slight vacuum, which means it is perfect for use with pet food, road salt or even as a tightly closed, odourless nappies or organic waste bucket. Super tough.